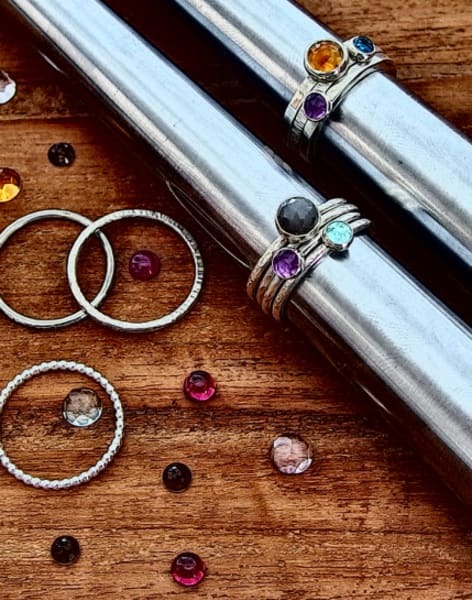 Learn to incorporate beautiful gemstones in your jewellery while making a set of stacking rings. 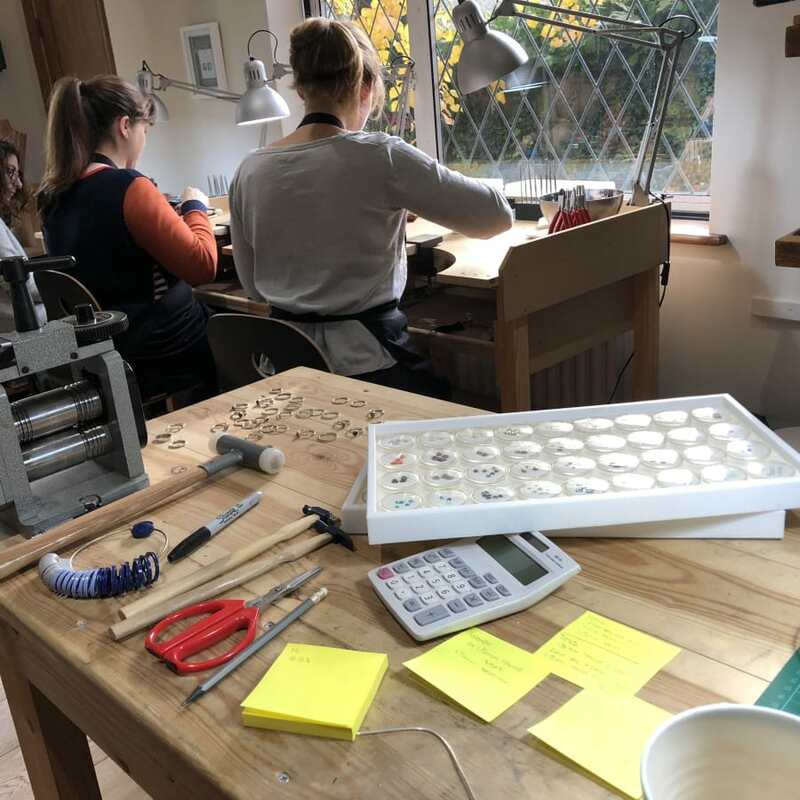 This workshop provides the opportunity to experiment with different surface finishes and scale, as well as choosing from a variety of beautiful round rose cut and cabochon gemstones to set in silver. During the workshop you will be handcrafting a set of 3 stacking rings and learning to bezel set a cabochon gemstone. 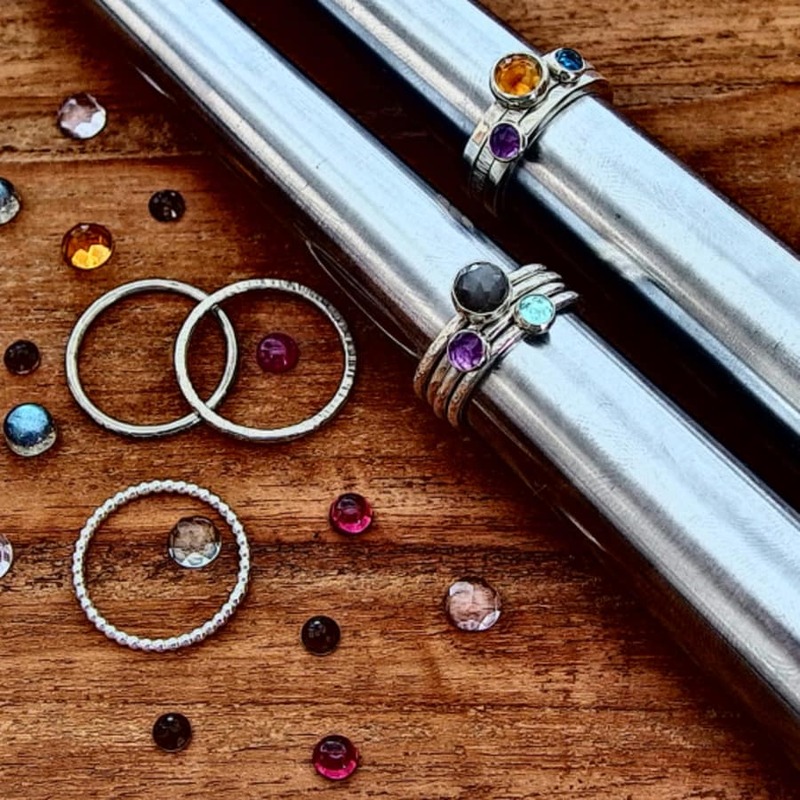 By the end of the day you will be walking away adorning your own stunning silver gemstone set stacking rings. All tools, materials, and plenty cups of hot tea & coffee are included. If you would like to set more than 1 gemstone and time allows you can purchase additional gemstones and materials. Please bring a snack or packed lunch with you.